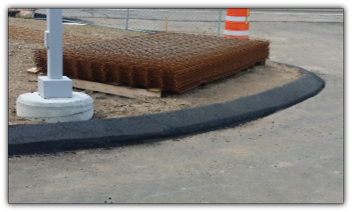 Sam Hicks Paving can provide a variety of professionaly installed asphalt and/or granite curbing and curb returns. Call us for a free estimate any time! (508) 248-3603. You can easily extend the life of your driveway, roadway or parking lot by performing the proper maintenance. This will ensure the longest life span possible. We handle all types of patching, from small pot holes to saw-cutting and re-installation of broken or damaged areas.